A College English Teacher’s Take on Last Chance U | Finding delight. Located in super-rural Scooba, East Mississippi Community College is a near perfect microcosm of public higher education. EMCC has less than 6,000 students enrolled, but is thoroughly ensnared by the university sports machine and the slew of academic challenges that students, faculty, staff, and administrators face in this environment. When I first read the description of Last Chance U, I thought it was going to be another affirmation of student athletes that played hard enough to escape poverty using grit and determination. 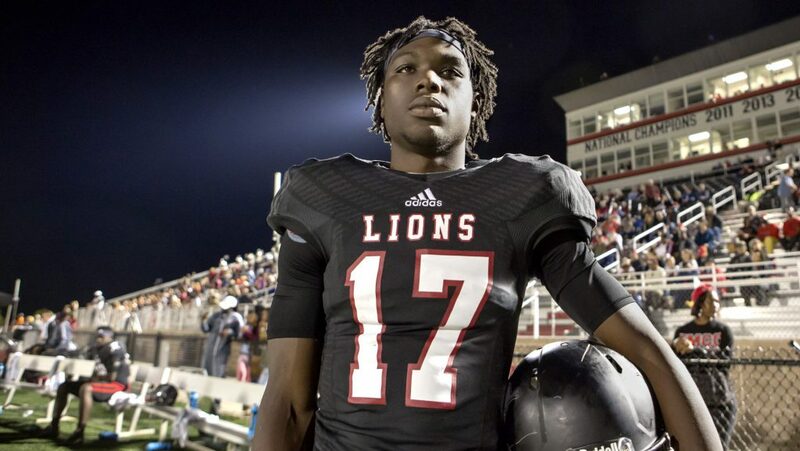 Last Chance U does feature some of that, though most often it begins following players after their meteoric rise and subsequent fall in the world of college athletics. Last Chance U manages to do much more. Through its portrait of players and coaching staff, it presents a surprisingly accurate view of contemporary college life. In an early episode of the first season, Ms. Wagner (the academic coordinator for EMCC’s football team) is exasperated by a player who brings nothing to class- not even a pen. The scene is funny. We laugh a bit at Ms. Wagner’s expense, or at least I did. I laughed out of familiarity. As a teacher, speaking to a pen-less student that isn’t performing well in my class is a near weekly occurrence. As a former student, I laugh from familiarity, too. I did not bring writing utensils to Psych 100. The players in Last Chance U have a love/hate relationship with their whole academic experience. They clearly love football, both the game itself and the opportunities it presents to many young players. On the other hand, they hate practice. They tolerate the school end for many of the same reasons. Good grades mean eligibility and the potential to play for a better school. It also means thinking and working in a way which is unfamiliar. It’s easy to look at the players and dismiss them. After all, why go to college if not to learn? These athletes are caught up in the same wave as most students. They have a vague notion of a career, and it’s often unclear how ENG 101 is going to help them achieve that goal. I spend most of my professional life working directly with students in the same position, and I think Last Chance U does a fair job of sketching the uncertainty that comes with a college education. The real hero of Last Chance U is Ms. Wagner. She’s the academic coach for the team, but much more: a human planner, a motivation machine, a listener, and an open door. Academic counselors like Ms. Wagner are near ubiquitous in major athletics programs. They exist to help players maintain eligibility by navigating the minefield of a full course load for students working a “full time job.” Many schools are now using this kind of counseling for the entire student body, especially as state governments shift performance metrics to graduation rates. What strikes me about Last Chance U is how close the experiences of the characters on this tiny campus ring true with my own. It’s easy to spot the problems in the show- the attitude of some coaches, the disengaged players, the placating staff- it is for better or worse where we are now. Watch the trailer for Season 2 HERE. Seasons 1 and 2 streaming on Netflix now! Have you seen them? Ohh I need to check this out!